Sick of sweaty spin studios and overcrowded gyms? Then this might be for you. 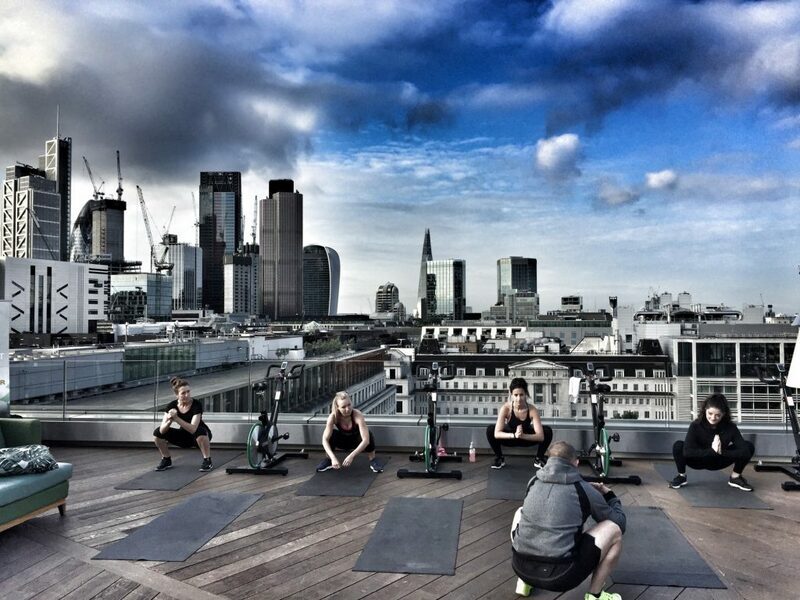 Aviary, London’s hottest new rooftop bar is bringing you a workout like no other – HIIT on the Roof. Located on Finsbury Square, Aviary have teamed up with leading fitness group Digme to bring you the ultimate outdoor sweat session. Led by Digme’s Head of Fitness, Dan Little, you’ll sprint, squat, jump and crunch your way through the 50 minute class. Based on Digme’s three core pillar HIIT programme, you will burn over 500 calories in one class alone – it truly is, the ultimate high octane HIIT workout. After the class, take in the stunning panoramic views on the Aviary terrace, with a juice or smoothie from Pure. For an additional £10, there is the option to refuel with a protein-packed breakfast; options include pancakes, a classic eggs benedict or scrambled eggs on toast. Priced at £25, the series runs over Fridays throughout the summer with 7am and 8am classes available. Book your place to WAKE UP, WORK OUT and FEEL THE BURN!